SERGEANT Andy Laird gave his men the runaround yesterday, so they’d know the drill when they took part in the Paisley 10k Race at the weekend. 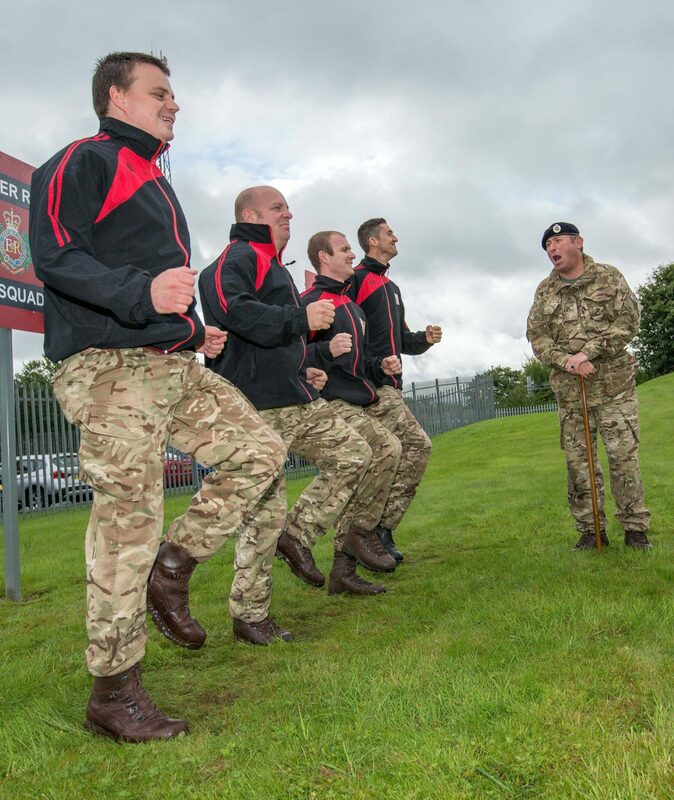 A team of five soldiers from the Territorial Army 102 Field Squadron, based in Paisley, got some last-minute training at the hands of Sergeant Laird, as they prepared to join the ranks of thousands of other athletes and fun runners pounding the streets. The Hillington Park-sponsored Paisley 10k Race and Fun Run has become one of the most popular events of its kind in Scotland and this year takes place on Sunday, August 30 in and around the town centre. The team from 102 Field Squadron is Corporal Robert Storrie, Corporal Darren Forsythe, Sapper David McMenamay (correct) Lance Corporal Sean Deans and Sergeant Danny Lafferty. Sergeant Laird said: “We’re all about teamwork at 102 Field Squadron and also being part of the community in Paisley. “The Paisley 10k and Fun Run is a major event for the local community, so it was something we wanted to be involved with and enter a team into the race. “The Paisley 10k and Fun Run is something for everyone of all ages and from all walks of life to take part in and enjoy. As well as the race and fun run, there will be children’s entertainment In County Square from 9.30am – 2.30pm with free face painting, balloon modeler and inflatable slide along with comedy street entertainers on stilts in and around the race area.